We've all played with bubbles as kids, but I think most would agree that they're not exactly the most functional of objects. An international team of researchers made up of Yoichi Ochiai, Alexis Oyama and Keisuke Toyoshima wants to change that. 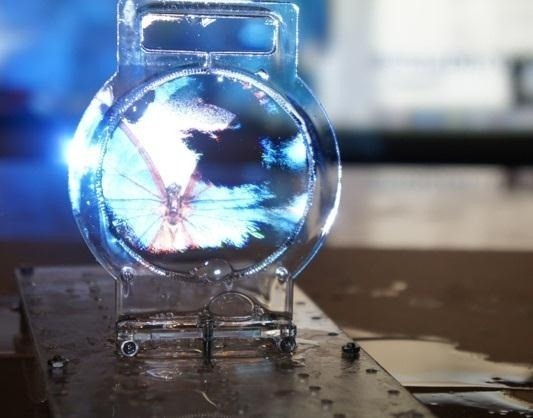 They've figured out how to project both 2D and 3D images onto a micro membrane (soap bubble) using ultrasonic sound waves and a standard projector. The bubble is made of a solution of sugar, glycerin, soap, surfactant, water and milk. The glycerin and surfactant are both colloids, which make the bubble hard to pop. 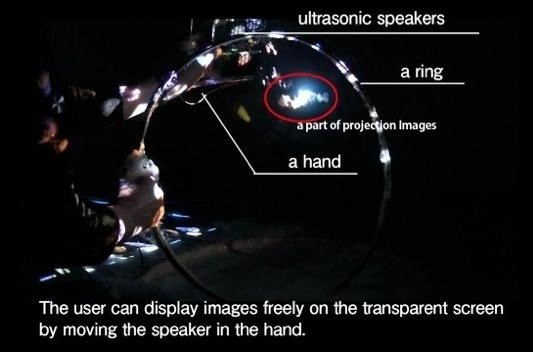 The ultrasonic waves change the texture and transparency of the bubble, allowing images to be projected onto it. By combining a few bubble screens, the images can appear 3D. That's not to say this will be replacing IMAX anytime soon, though. There's still a long way to go before this technology could be used in entertainment or art because the screen needs to be dipped in the bubble solution pretty frequently. Engadget has a hands-on video where you can see the display working. Check out the video below for more on how it works, or this video for some possible future applications. 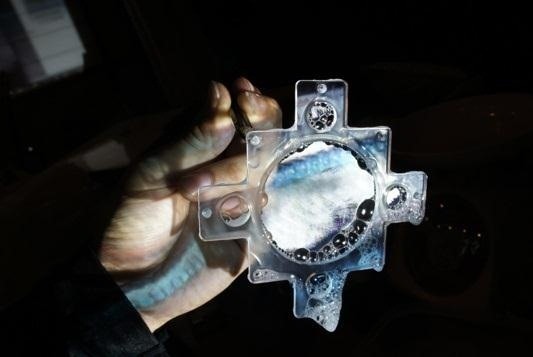 This might be a little difficult to recreate at home, but instead you could try making anti-gravity bubbles, glowing blacklight bubbles, exploding dry ice bubbles, or even antibubbles!